Looking to get more accurate data about the visitors coming to your Google AMP (Accelerated Mobile Project) enabled pages? MonsterInsights is the only Analytics WordPress plugin that lets you integrate with Google AMP that also supports Google Optimize. In this guide, we’ll show you how to add Google Analytics to AMP Pages on WordPress using MonsterInsights. Google’s Accelerated Mobile Project (AMP) is an opensource initiative with the goal of making web content load faster for mobile users. You might’ve already seen the AMP symbol beneath some Google search results on mobile. It tells you that, by clicking on that particular search result, you’ll be directed to an AMP page, which is a streamlined version of the original article specifically built for boosting page speed. 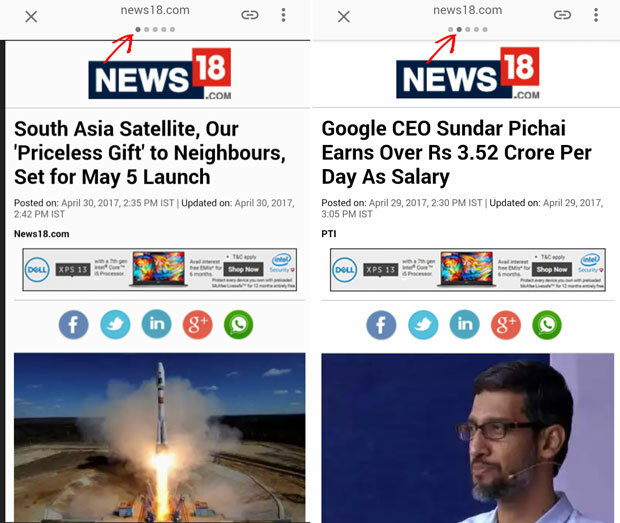 Best of all, if you click on the search results found in the News carousel, you can easily swipe through different pages in the carousel, which load almost instantly on your mobile browser. It’s a win-win for you and your organic visitors because it increases the pageviews for you and improves the reading experience for your site visitors. 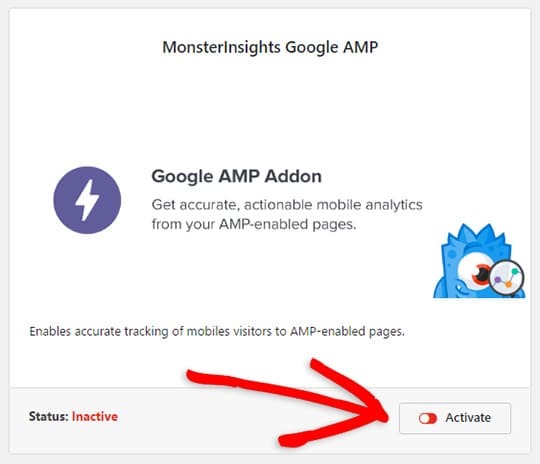 The MonsterInsights plugin lets you easily add Google Analytics to AMP pages with just a couple of clicks. 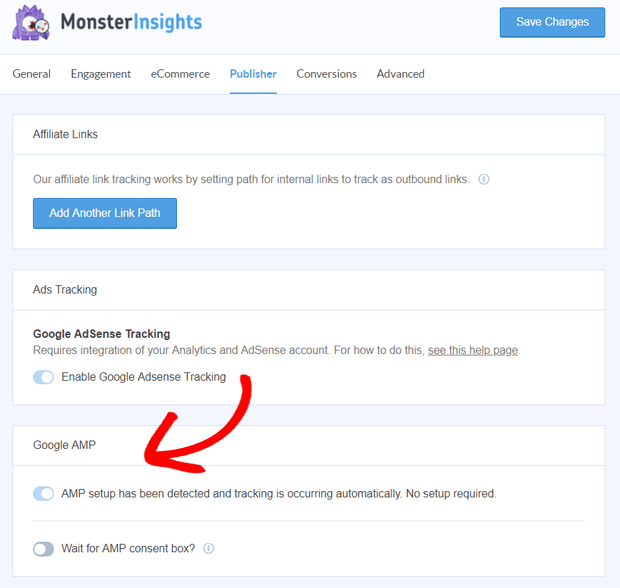 Without the MonsterInsights AMP addon, adding Google Analytics to your AMP pages is tricky and complicated. You’d actually have to modify the Google Analytics tracking code manually. Even then, sometimes it still requires additional troubleshooting to get it to work right. MonsterInsights is also the only Analytics WordPress plugin that supports AMP integration with Google Optimize, which is a free A/B testing and personalization product by Google. That means, not only you can better understand your website visitors, but you can also deliver more engaging experiences that are relevant to your audience. It stops double tracking visitors: By default, when a user visits an AMP page and then a normal page (or vice versa), Google AMP Analytics counts it as 2 different sessions. Our Google AMP addon fixes this issue and tracks it as a single session. It supports other MonsterInsights features: In your AMP pages, you can adjust sample rates with the Performance addon or segment your Analytics with different dimensions with the Custom Dimensions addon. A/B test your AMP pages with Google Optimize: You can create different versions of your AMP pages to test user interactions so you can discover what works best on your AMP pages. 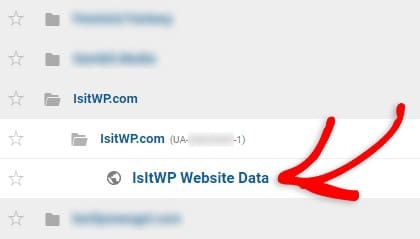 We’re assuming that you’ve already set up Google Analytics in WordPress using MonsterInsights. To integrate Google AMP with Google Analytics, you’ll need to install and activate the Google AMP addon. To access the addon, you must have the Plus license plan or higher. You’ll also need to have the Automattic AMP plugin installed and activated, and you must be running WordPress version 4.6 or newer. 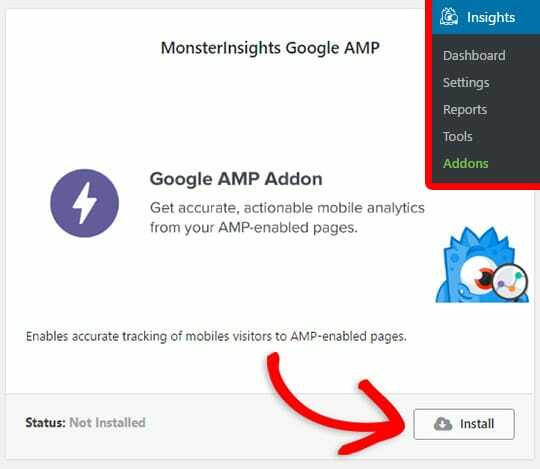 Once all that is taken care of, go to Insights » Addons and click Install under the MonsterInsights Google AMP addon. After the plugin is installed, the button will change to say Activate. Go ahead and click the Activate button to make sure the addon is active and ready to use. You’ve successfully installed the Google AMP addon. No further configuration is required. If you want to confirm your AMP settings just to be sure, go to Insights » Settings and click the Publishers tab. 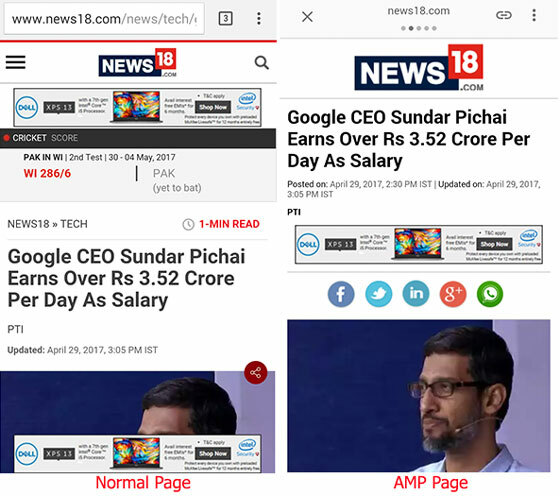 Then, scroll down to ‘Google AMP’ section. 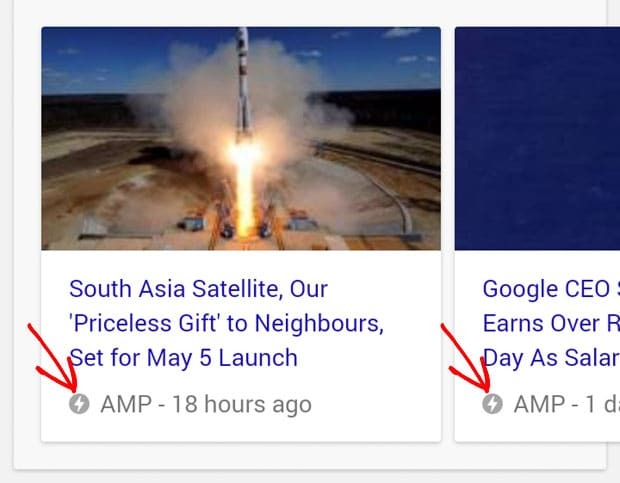 You’ll see the cursor for Google AMP activation is enabled. The second option there allows you to enable AMP tracking after consent. If you haven’t implemented a consent box on your site, make sure not to enable this option. Otherwise, it will prevent the plugin from tracking all AMP users. To find your AMP data in Google Analytics, log into your Google Analytics account and select the website which you’d like to find the AMP data for. Go to Behavior » Site Content » All Pages. To view the data for your AMP pages only, use the search bar above the table with the keyword /amp. This will show you the traffic reports for your AMP pages only. If you’re monetizing your website with Google Analytics, you might also want to track the performance of your ads. You can refer to our guide to learn how to track Google AdSense in Google Analytics.